Sydney beaches are subject to current coastal hazards such as shoreline recession and exposure of rocks and ad-hoc seawalls due to the action of large waves. These waves are predominantly associated with the occurrence of strong depressions known as East Coast Lows (ECLs), and can lead to closure of beaches and threats to public and private property. The effects of these systems will be exacerbated by the impacts of climate change, particularly sea level rise and changes in the frequency and intensity of storm events. In order to respond to these impacts, coastal managers and policy developers require information on the costs and benefits of each potential course of action. Whilst good information exists regarding the costs of management interventions such as the construction or enhancement of protective structures such as seawalls, there is little available information on the costs of inaction. 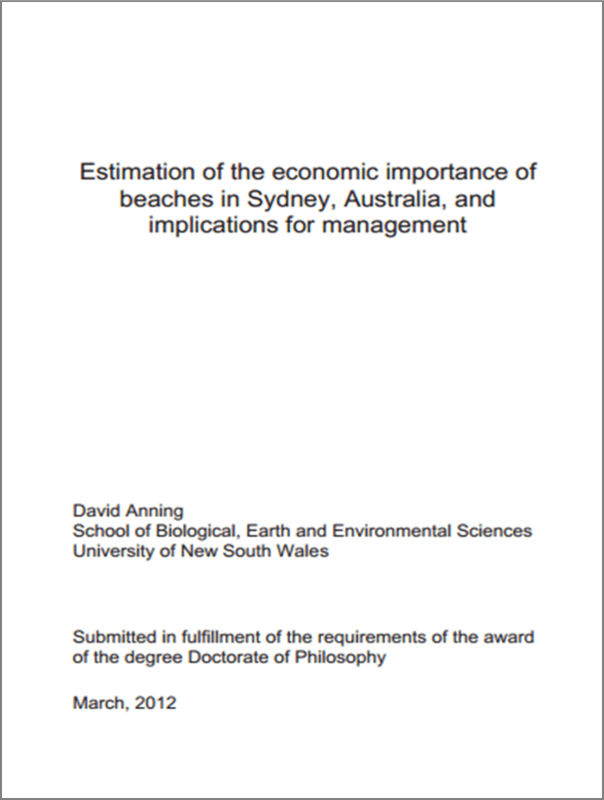 This project therefore sought to estimate the economic importance of selected Sydney beaches. The project was completed under a Memorandum of Understanding (MOU) between the University of NSW and the SCCG, with research undertaken as a PhD. Case studies were conducted at three locations with the assistance of Manly Council, Hornsby Shire Council and Warringah Council. The project was supported by a Community Action Grant from the (then) NSW Greenhouse Office, which is now incorporated into the NSW Department of Environment, Climate Change and Water. The full grant title was “Quantifying the Value of Sydney (NSW) Beaches in order to assess cost / benefit of necessary coastal protection / abatement measures as a result of enhanced climate change impacts”. Additional project support funding was provided by CSIRO Sustainable Ecosystems (now Ecosystem Sciences) through a postgraduate studentship awarded to the PhD candidate. A PhD stipend was provided by UNSW. Data was provided by the NSW Department of Lands to allow for application of the Hedonic Pricing Method, which examines the impact of environmental amenities on the local housing market. Warringah, Pittwater and Hornsby councils also provided additional GIS data layers for use in the hedonic analysis. Project management was provided by SCCG Executive Officer Geoff Withycombe and Associate Professor Dale Dominey-Howes (UNSW), with work undertaken by the PhD candidate Dave Anning. 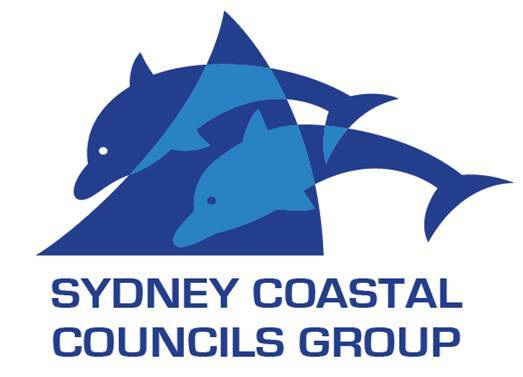 Expert advice and project steering was provided by the SCCG Beach Management Working Group, which is a panel of beach experts representing local and State government organisations, as well as community and stakeholder groups. The aim of the project was to estimate the economic value of selected Sydney beaches, so that this information could be used by relevant parties to select appropriate adaptation responses to projected climate change impacts. 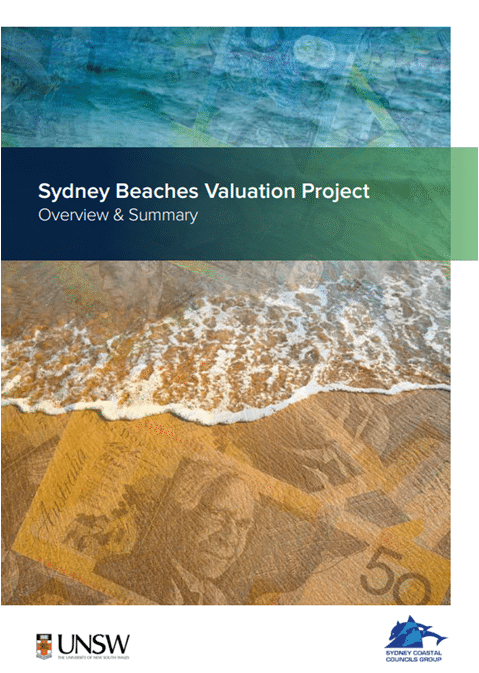 This project estimated the total economic value of selected Sydney beaches, in three different Local Government areas; two oceanic sites and one estuarine site were selected. 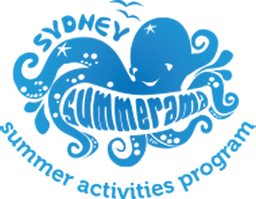 The sites were: Collaroy-Narrabeen, Manly Ocean Beach, and a combined site in the Hawkesbury River that incorporated Brooklyn Baths and Dangar Island. These case-study sites represent different biophysical environments and highlight the key coastal management issues of the region, threats to infrastructure and the loss of values associated with recreation and visual amenities through erosion. A suite of valuation approaches was applied, both to allow for comparison between methods, and to provide answers in forms relevant to different policy questions. The hedonic pricing method was applied in order to examine the influence of beaches on local property prices, and hence examine the costs of allowing shoreline retreat or enacting a policy of managed retreat, a hedonic pricing study was undertaken at Collaroy-Narrabeen. The study also incorporated extensive empirical surveys of beach users. A total of 420 onsite beach user interviews were conducted across the case study sites, with a further 120 completed online. These interviews employed a combined Travel Cost – Contingent Valuation survey instrument, which was designed to be deployed on handheld personal computers (smartphones). The use of this technology allowed for more complex survey designs, efficient surveying, and improved data management. Future options include use of inbuilt translation services to survey non English-speaking tourists, and use of GIS positioning to accurately plot the location of interviews and identify spatial variability in responses. The travel cost method determines the extent of expenditure that beach visitors incur in order to visit the beach, which provides a lower-bound estimate of the value of the resource, as it is assumed that the benefits of the trip must outweigh the expenses or the trip would not be taken. The contingent valuation method was applied to derive estimates of non-use values such as knowing that the resource will be available for use by future generations (bequest value). This involves describing a future erosion scenario, and asking beach users whether they would be willing to contribute to a project designed to prevent the impacts described. The hedonic pricing study conducted at Collaroy-Narrabeen identified a very strong preference for beachfront property. This results in an environmental premium associated with these properties of around 40%, relative to an otherwise identical property immediately landward of the first row. Given the high value of land, this represents a premium in excess of $1 million per beachfront house block (2008 dollars AUD), with more than 90 houses along the entire beach. Clearly, this does not reflect the exposure of these properties to coastal hazards, and further work will attempt to determine the benefits associated with risk-reduction interventions such as beach nourishment. Travel costs associated with daytrip recreation are around $6 per person per day, with additional onsite expenditure of around $5. This includes such things as drinks and food purchased in the local beach precinct. Whilst translating this to an annual total is challenging due to limited information regarding the number of beach visitors, some estimates are possible. In the case of Manly Ocean Beach, for which reasonable visitation estimates exist, day trip recreation accounts for travel cost expenditure of around $25 million p.a. (2009 AUD). Incorporating onsite expenditure brings the total to around $50 million p.a. These figures represent minimum bounds for the value of the resource, as they only incorporate use values, and do not include social or cultural values. An Overview & Summary of the project is available here. Understanding the scale of the economic impacts associated with the presence of healthy beaches allows for more effective allocation of coastal management resources at the local, State and (potentially) national levels. The values generated can provide a baseline against which changes (natural or otherwise) may be tracked. The locally generated benefit estimates can be used by other councils in Sydney, and NSW more broadly; to undertake rapid assessment of different options, as is appropriate in the early stages of development of Coastal Zone Management Plans. The methodology, which will be made publicly available in plain-language format, can assist councils in undertaking more detailed local studies where more precise estimates are required, such as in consideration of asset protection options. At the strategic level, this information can be used in the development of policies which reflect and preserve the economic streams generated from coastal assets.